She is survived by her husband Kelly J Fletcher; A son, Darius J Fletcher and a daughter Kellya J Fletcher all of Jacksonville FL; two step kids Kelley and Andrew Fletcher, Jacksonville FL; her father Larry (Connie) Sheppard, Jacksonville FL; her mother LaDaisy (Eugene) Ware, Jacksonville, FL; a sister, Volisa (Jemale) Cross and two brothers: Montrell Sheppard both of Jacksonville FL; and Charles Hunt of Fort Lauderdale Fl. ; grand parents: Baldwin (Sharon) Schley, Attleboro, MA; aunts: Inez (Johnny) Battle, Bertha (Walt) Bruce all of Plains, GA; Gwen (Joyce) Merritt, Yonkers, NY; Lavern (Bryant) Morrison New York, NY, Monica (Shannon) Daniels Ft. Walton Beach Fl., Angela (Engene) Brown, Lakeland FL. Valerie Schley, Jacksonville FL; two uncles: Willie J. Sheppard, Macon, GA and Dudley (Shirley) Gary, Americus, GA; two nephews: Christopher Sheppard, Jacksonville, FL and Jarrod McNish Atlanta GA; two nieces Shambreka Bussey and Latia Sheppard, Jacksonville, FL; mother and father-in-law Mamie and Jake Fletcher, Jacksonville FL; sister-in-law Angela Fletcher, Atlanta GA; and a very special friend Diane Moody and a host of great aunts & uncles cousins and friends. 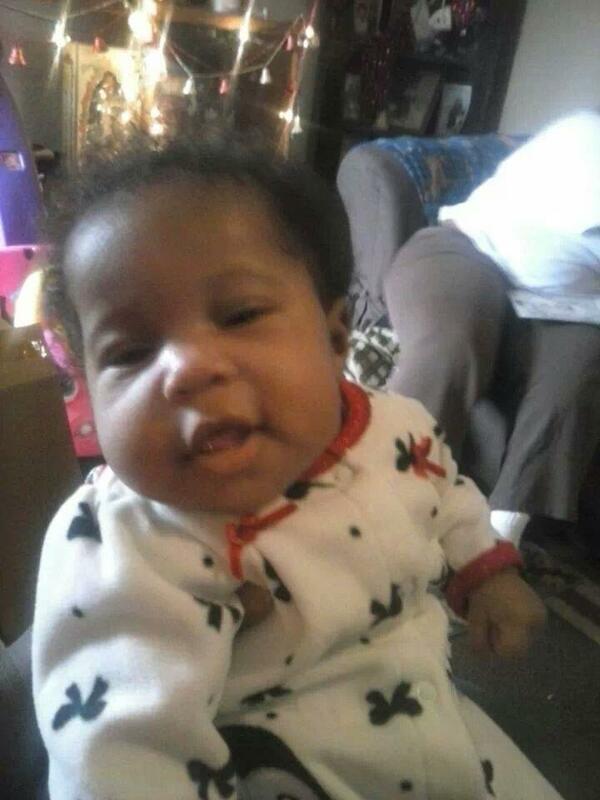 Graveside services for infant Jada Ann Brown will be Friday, February 28, 2014 at 12:00 Noon at the Westend Cemetery in Butler, GA with Pastor Michael Fowler officiating. Little Jada Ann Brown was born October 15, 2013 in Americus GA. to Kristin Knowlton Demetrice D. Brown. She flew home to heaven on February 23, 2014. Jada is now resting with her family that proceeded her in death: Grandparents; Dorothy A. Knowlton, Charlie (Estelle) Knowlton, Thomas J. Brown, Bessie Mae Myles, Quida Brown, Pat Brown; Aunts; Carolyn knowlton, Gloria Knowlton, Stephanie Ann Brown and Latresh “Tweety” Brown. Jada leaves to cherish her memory, devoted parents: Kristin Knowlton and Demetrice D. Brown both of Americus, GA; Brothers and Sister: Kelonte Knowlton, Michelle Jackson, Aumodia Lewis, Chi’miriah Lewis, Shametria Lewis, Ja’Kyrston Brown, Andre Lembrick, Chi’ Robinson and Jalisa Evans; Grandparents: Lorenza Peeples, Thomaston GA and Zebbie Grey of Americus GA; one great grandmother, Teletia (Thomas) Brown of Preston GA; devoted aunts and uncles: Roshan Brown of Montezuma GA, Karista Knowlton of Leslie GA, Kelvin Knowlton, Steven Knowlton, Jessie F. Knowlton Jr. all of Butler, GA, Kaylnn Bunkley of Geneva GA, Tyshun Brown of Salayia, Doha Qatar; devoted great aunts: Virginia Knowlton of Butler, GA, Debra Knowlton of Ideal, GA and Gloria L. Walter Marshall of Americus, GA.
Mr. Clarence Thomas, Jr., age 78, of Travelers Rest Road, Montezuma, passed away Tuesday, Feb. 18, 2014 at Montezuma Health and Rehabilitation Center. Funeral services were held on Tuesday, February 25, 2014 at 1:00 P.M. at the New Hope Baptist Church with Rev. Allen Waters officiating. 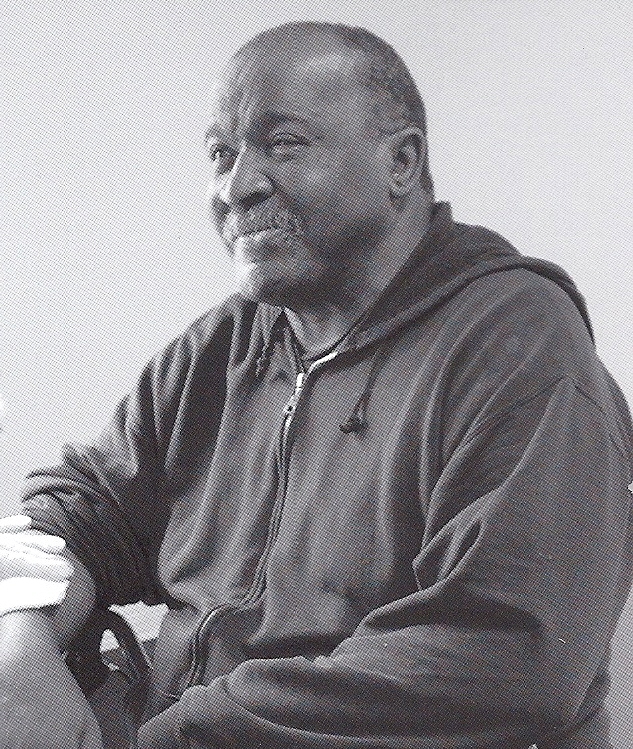 Clarence Thomas, Jr. was born May 11, 1935 in Montezuma, Georgia. He was the fifth child born to the late Clarence Tolbert Thomas and Lonnie Haugabook Thomas. Siblings who preceded him in death are Betty Green, Harvey Thomas, Joe Lewis Thomas, Mary Lizzie Thomas and Earnest James Thomas. He leaves to cherish his memory, a daughter: Louise Bibbs of St. Robert, Missouri; two grandchildren: Veronica Williams and Willie J. Williams, Jr. (Mindy), and eight grandchildren all of St. Robert, Missouri; a loving and devoted niece and nephew Jacqueline and Damon Felton of Montezuma, Georgia; two sisters: Dorothy Thomas of Montezuma, Georgia and Millie Loman of Atlanta, Georgia; a host of nieces, nephews, other loving relatives and friends. Funeral services for Ms. Viola Louise Glover of Plains, Georgia will be held on Saturday, February 22, 2014 at 1:00 P.M. at the St John A.M.E. Church in Plains, Georgia with Pastor Shirley Strawter officiating. Burial will follow at the Lebanon Cemetery in Plains, Georgia. Viola Louise Glover was born January 18, 1951 in Sumter County, Georgia to the late Tiney Glover and the late Viola Williams Glover. She was educated in the Sumter County School System. 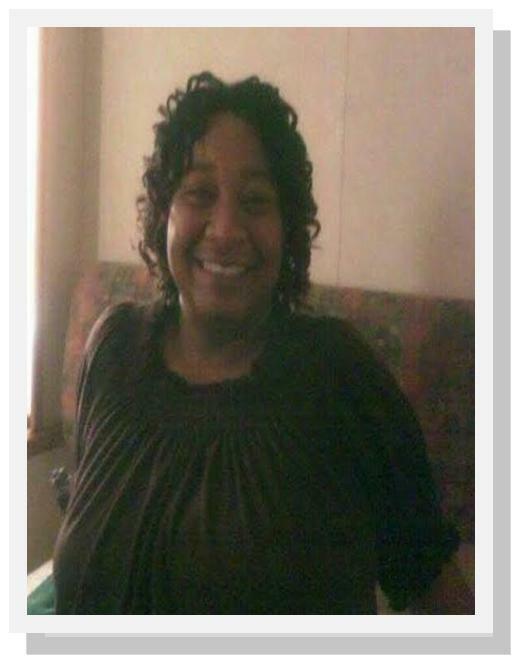 Ms. Viola is preceded in death by an Uncle Aaron Glover Jr. At an early age she joined St. John A. M. E. Church of Plains Georgia, where she sang in the choir and was the church custodian. “Ms. Vi” as she was affectionately called, loved her family and to plant flowers in her yard. She also was a faithful worker at Ryan’s steak house for 10 years until her health failed. Ms. Glover died on Saturday, February 15, 2014 at the Phoebe-Sumter Medical Center in Americus, Georgia. Viola leaves to cherish her memories; two daughters: Glenda Glover (Claude) of Tampa Florida and Salena Glover (Corey) of Americus Georgia; one son, Clemond Glover (Cindy) of Americus, Georgia; two sisters: Lizzie Harper of Americus, Georgia and Lena Wilson of Plains Georgia; one brother, Moses Glover Sr. of Detroit, Michigan; one uncle, Clarence Jordan of Alabama; very close friends: Jan Hobgood, Janie Harper (Billy), Shirley Gary (Dudley). Brenda Battle (Johnathan), Jackie Franklin (Rose); two beautiful grandchildren: Ashley Thrash of Florida, Quasha Glover of Americus Georgia and other relatives and friends also survive.